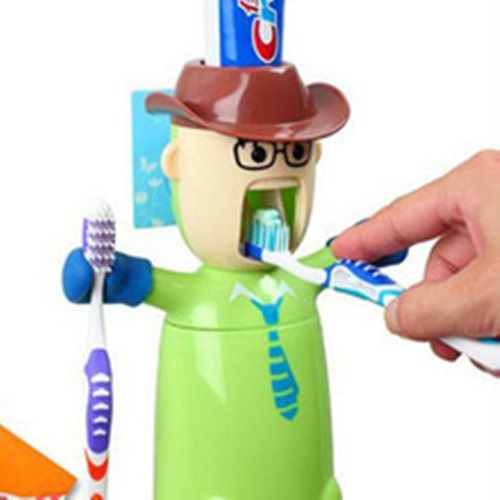 Getting a super stylish bathroom means that you should consider all the details of the place including the soup and toothpaste dispensers. 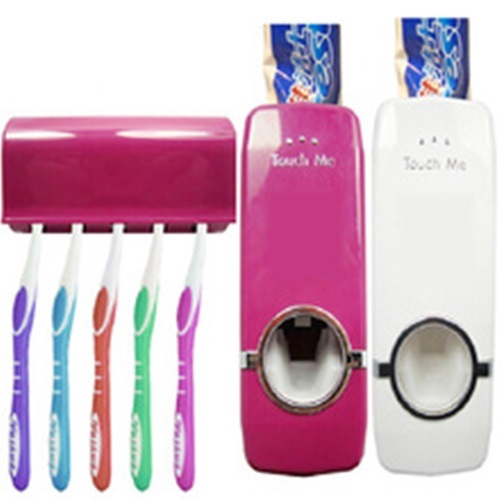 Such dispensers come with sleek and high tech designs to provide you an easy life increasing the aesthetic and functional look of your modern or even ultramodern bathroom. 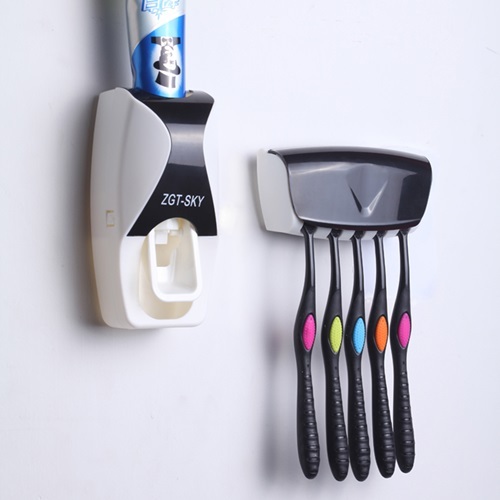 The super stylish look of your bathroom will be complete with an auto squeeze out toothpaste dispenser that will need only a single touch to dispense the right amount of paste on the brush. 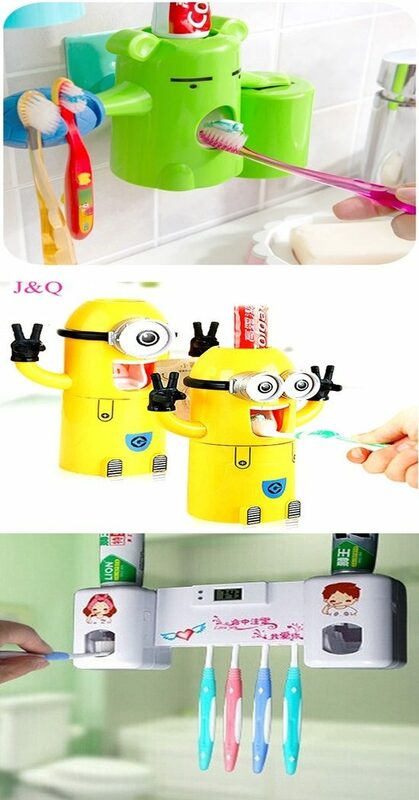 This dispenser will decorate the walls or any surface in your bathroom by its innovative look and amazing colors. 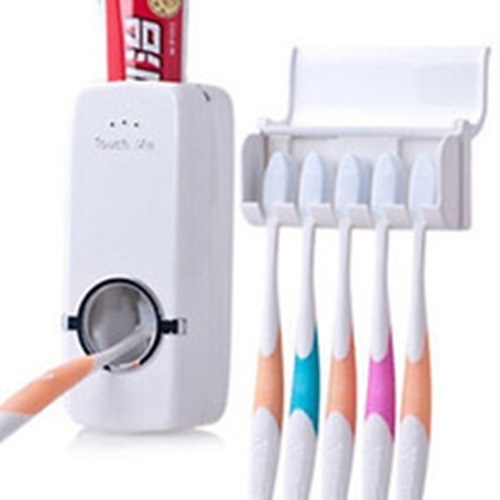 The automatic toothpaste dispenser with a toothbrush holder will do the same function, but you need just to insert the brush into the hole of the dispenser to give the right paste portion. 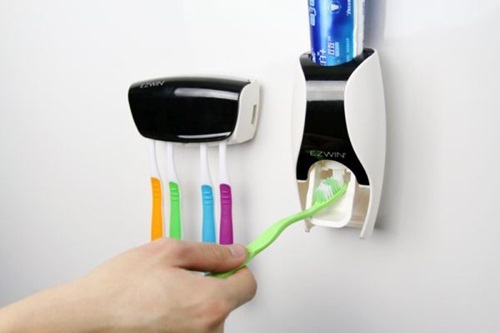 These two automatic toothpaste dispensers come with different colors to blend with your bathroom decor. 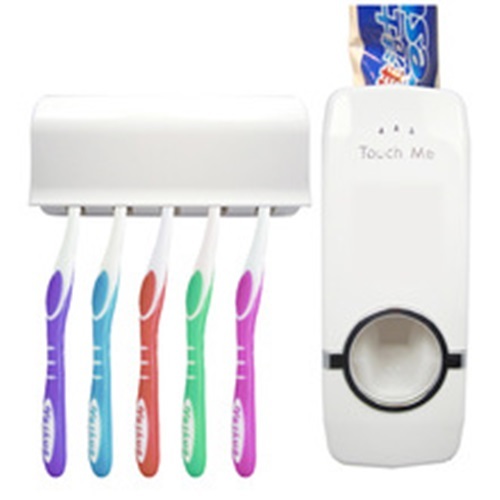 Similarly, the chub automatic toothpaste dispenser will let you insert the toothpaste tube completely into the body of the dispenser and will give you the right portion of paste when you place your brush under the nozzle of the device. 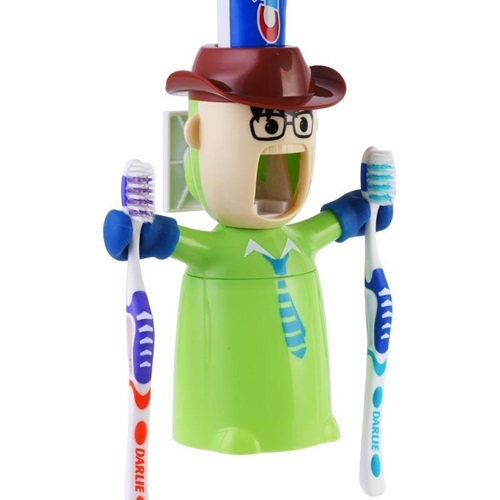 The wall-mountedX-paste toothpaste dispenser has a sleek stainless steel external look to let you press the button and get the right portion of paste.The good news is that the dispenser will prevent the oral diseases by cross-infection and reduce the loss of the extra amounts of toothpaste. 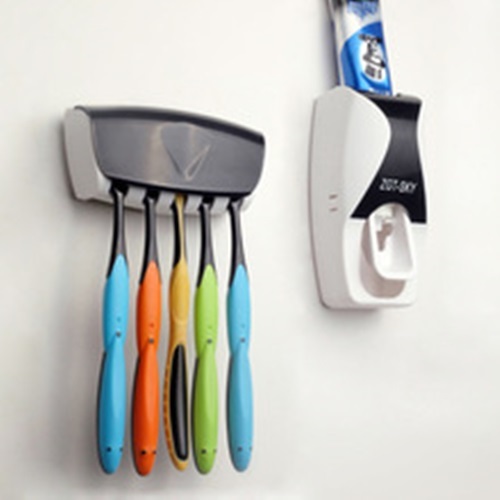 Such automatic toothpaste dispensers use vacuum technology to get the last piece of the tubeto prevent the waste of the toothpaste. 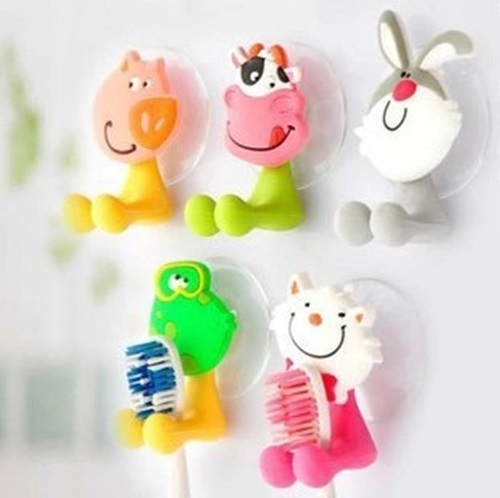 They can hold any toothpaste tube size and hold the toothbrush in some designs. 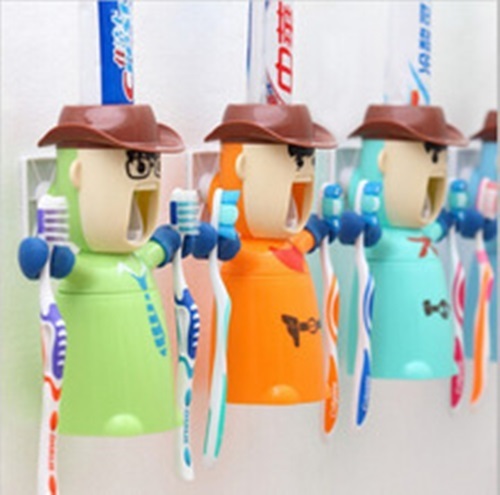 Your kids will be astonished with toothpaste dispensers on the shapes of animals or cartoon characters, as they will add a funny and whimsical look to the place.